No Sunday lie in at Walt Disney World for me as there was simply far too much fun to fit in. I grabbed a coffee in the hotel lobby, met up with the rest of the group and we all headed off on our second and final morning of hotel visits. Today we would be shown around Disney’s Animal Kingdom Lodge, Disney’s Saratoga Springs Resort and Disney’s Port Orleans Resort. As we pulled up to Disney’s Animal Kingdom I had already started to forget that I was in Orlando as the African Safari theming was done so well that from the moment you enter the lobby you can’t help but to feel completely transported. Hotel Top Tip: If you can, you should upgrade to a Savannah view room for a real safari experience, as you are able to view the animals from your hotel room balcony. Next up we travelled over to Disney’s Saratoga Springs Resort which is based on a late – 1800’s retreat famous for its spas and horse racing. It even has a charming golf course complete with rolling greens and a large shimmering Lake. This is one of Disney’s Deluxe Villa Resorts and although it wasn’t my favourite, I think it would be the perfect choice for people wanting to stay at a Walt Disney World Resort with a variety of age groups in their party. Hotel top Tip: This hotel has a small supermarket style service available to allow guests to stock up on basic groceries. This means you don’t have to panic if you forget something when you are out food shopping! The final hotel we would be visiting on our trip was Disney’s Port Orleans Resort. This is a huge Resort and yet I never felt overwhelmed with people even though the hotel was nearly at full capacity. 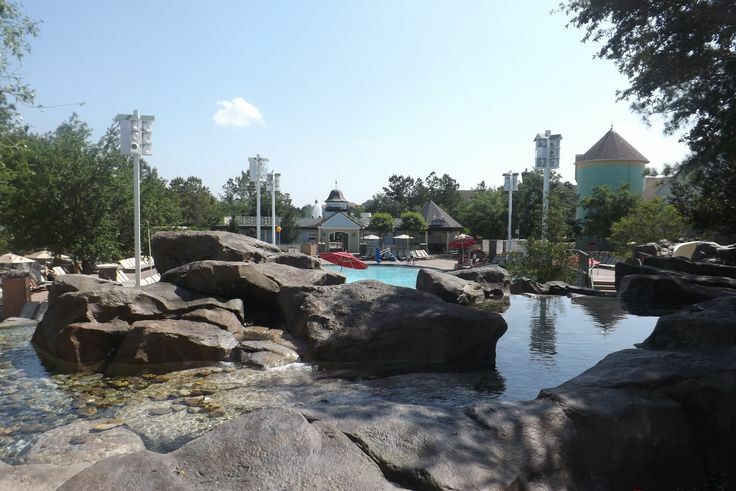 The Resort is split into two sections called the French Quarter and the Riverside area. Both were an array of glorious sprawling mansions and although the theming was grand and classical it was still very Disney at the same time. My absolute favourite thing about this hotel was experiencing the very special Royal Rooms. These rooms are all styled and designed in Disney Princess theming and feature a particularly sweet moment when you can switch on your bedside light and the headboard artwork all lights up and twinkles. If I was still a little girl I would be in heaven with this room…every guest is even welcomed with a letter in their Royal Room from Princess Fiona! For me if I had to pick one of these six amazing hotels to stay at during my time at Walt Disney World I would definitely choose Disney’s Animal Kingdom Lodge. This hotel blew me away and truly made me feel like I was experiencing two holidays in one. Plus, the fact that you get to be so close to some of the world’s most fascinating animals from the moment you wake up each day, until you go to bed at night, just really excited me. I certainly hope that if I ever have kids of my own I would get the opportunity to take them. As Sunday morning came to a close we all eagerly jumped on the bus and headed off to the Magic Kingdom for the entire afternoon. This is the most iconic Disney Park (for me anyway) and I knew I would be completely disneyfied once I had experienced it...I was right. As tapped my MagicBand to get me in to the Park I could hardly wait for the rest of the group as I was so keen to see if I could remember anything from being there when I was 6 years old. As I began walking down Main Street USA I was completely mesmerised with the whole thing. I am pretty sure I was wondering around with my mouth open and just gazing dreamily at everything, trying to take it all in. A really nice touch from Disney and a great free tip is to look out for is the badges stall at the top end of the Main Street, especially if you are celebrating as these make for a great souvenir. 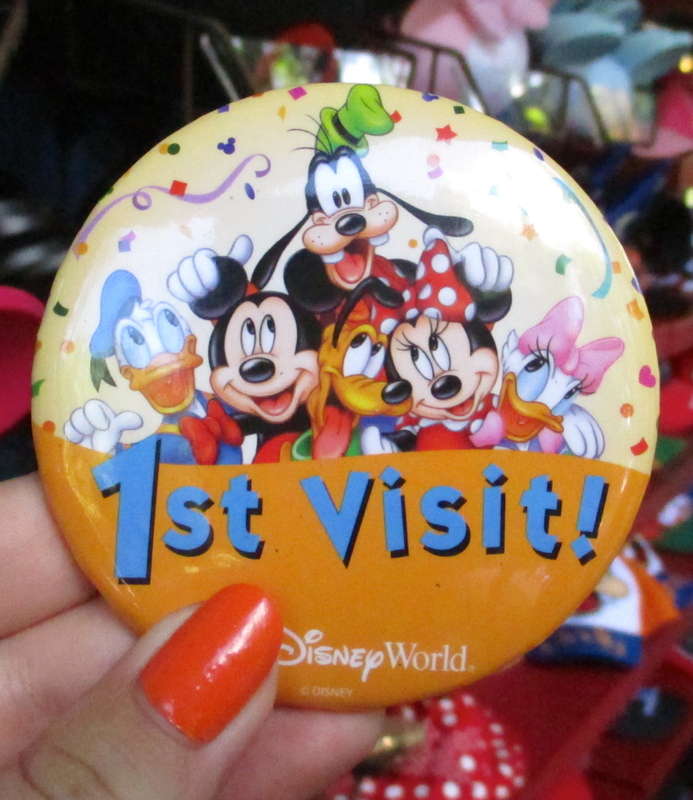 I stocked up on Disney 1st visit badges (even if that wasn’t technically true) and off I went with the rest of the group to explore more of the Magic Kingdom. As we walked towards Cinderella’s Castle it was hard not to be impressed and in fact I was so taken by it and the performance that was happening at the time that suddenly I turned around and realised that everyone had gone and I was lost! Immediately I remembered exactly the same thing happening to me when I was six, however it was much less dramatic this time especially with the invention of the mobile phone and I was quickly reunited with my group and happily taking pictures again. Top Tip: If you are travelling in a big group to Walt Disney World a good tip is to always arrange a meeting spot in case you all get split up. There is so much to distract you (no matter what age you are) so if you can remember to do this it’s a great thing to coordinate among your party. Following this relaxing and magical ride we next went to conquer the three famous mountains in Magic Kingdom – Thunder, Splash and Space. All of the mountains were fast and great for those seeking a thrill. 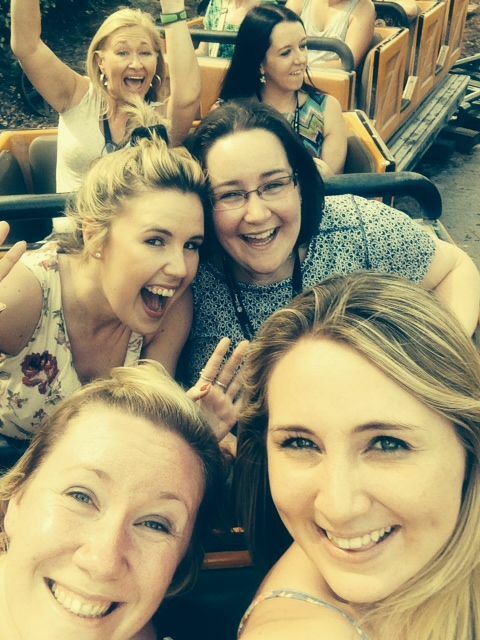 I screamed my way round all of them but without a doubt my favourite was Splash Mountain. This wasn’t just because of the 52 foot plunge (check out my fearfully delighted face below) but also because I loved the story telling before and being entertained by over 100 audio animatronic figures in the build up to the attractions climax. Also the anticipation that you might get soaked never really gets old! After exhausting ourselves out in Magic Kingdom it was time to head back to the Yacht & Beach Club for a chance to recharge our batteries and get ready for a night of fun, food and bowling at Splitsville Luxury Lanes Downtown Disney. When we arrived at Splitsville Luxury Lanes we were shown upstairs and quickly divided ourselves into two teams of six and commenced what turned out to be an extremely competitive game! My bowling skills had sadly not improved much despite my early lucky strike and although my team put up a good fight we were sadly beaten by Team 2. As we played we were served a really delicious selection of nibbles and as we ate and bowled we danced around to a mix of fun tunes which were blaring out. 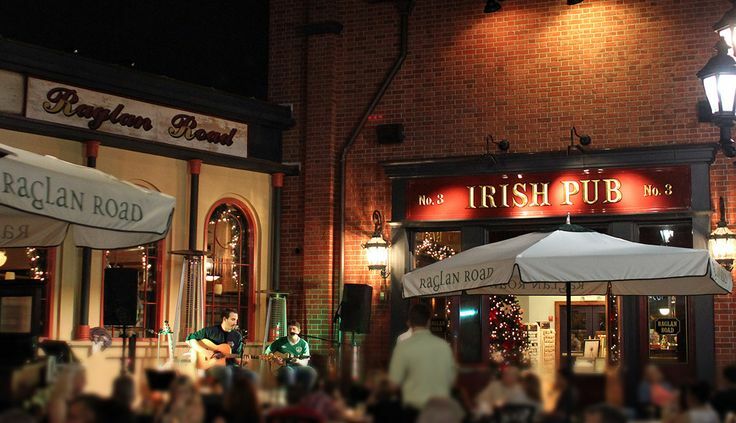 We didn’t take much time to decide that we were having too much fun to go home and so we went to Raglan Road which is an Irish pub in Downtown Disney. We sat outside and listened to the live Irish band that play almost every night of the year and requested some of our favourite Irish songs including ‘Galway Girl’ and ‘Tell me ma’. I am not ashamed to say I even tried some Irish Dancing (haven’t had a lesson since I was 8 years old) which impressed some bystanders enough to take photos...success! After a full day of seeing hotels, conquering Magic Kingdom and Downtown Disney it was time to call it another night at Walt Disney World. It was really easy to get back from Downtown Disney to the Yacht Club as the Disney Bus Transport was still running and there is a bus for every hotel for guests to jump on at their leisure. I was back at the hotel within 20 short minutes and was asleep as soon as my head hit the pillow.